Converting your business or home to Solar Energy. The Sun is the ultimate power source, untouched and unscathed by our collection of energy. It is a practical, realistic long term solution for our energy needs. Solar Energy draws on the Sun’s infinite, free power, allowing us to fuel our businesses and homes, save natural resources, support the environment and provide financial benefits. Join the millions of households around the world harnessing this amazing clean energy! 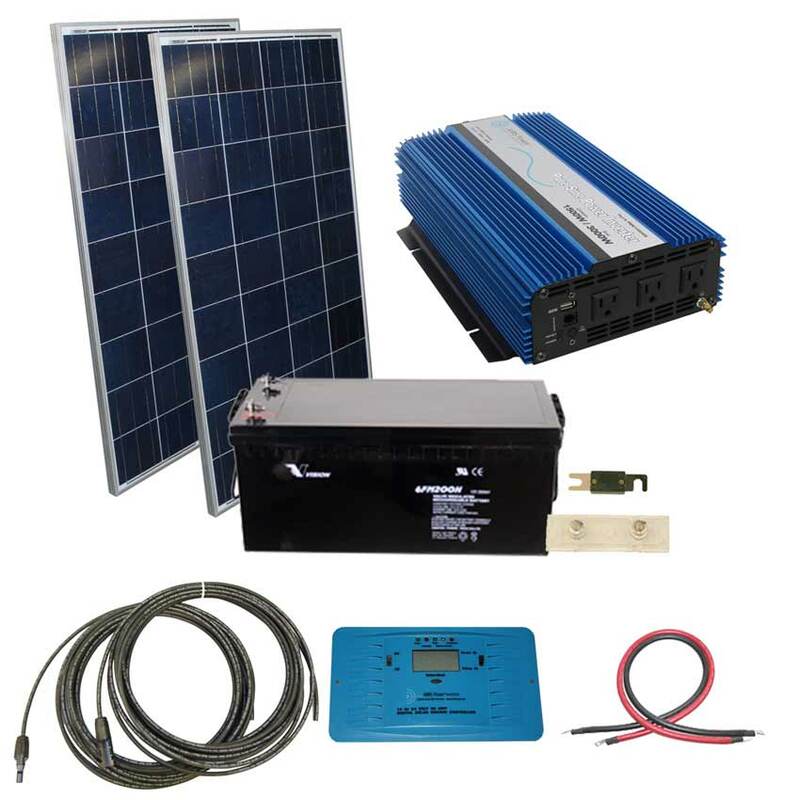 Click here to view our solar kits today! We would need to know exactly which AIMS Power inverter you have to provide that info. Thank you. Looking forward to doing more research on your solar kits! Would love to convert my home to solar and not have to worry about electricity bills! Thanks for sharing. Chrissy on How many batteries do I need for my inverter? Harrison on How many batteries do I need for my inverter? Du Toit Le Roux on How many batteries do I need for my inverter?